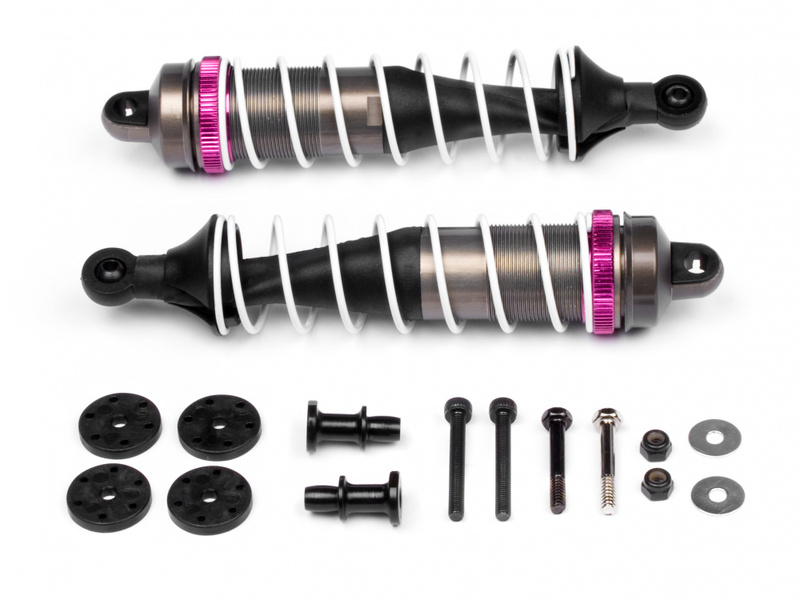 Big Bore shocks allow the suspension to soak up bumps and landings more efficiently, giving you more control over the rough stuff and lowering your track lap times! 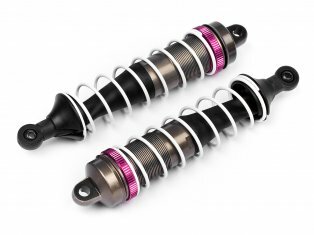 These shocks are fully assembled and ready to use, just fill with your preferred shock oil. Mounting spares and optional shock pistons are included for additional race tuning.